Earlier this month, publisher EA made the decision to stop offering controversial "online passes" with its upcoming games. It's now getting rid of them for its older games, too. A new FAQ on EA's site explains the move, saying "we are in the process of eliminating Online Pass requirements from existing EA games. This process will take several weeks. 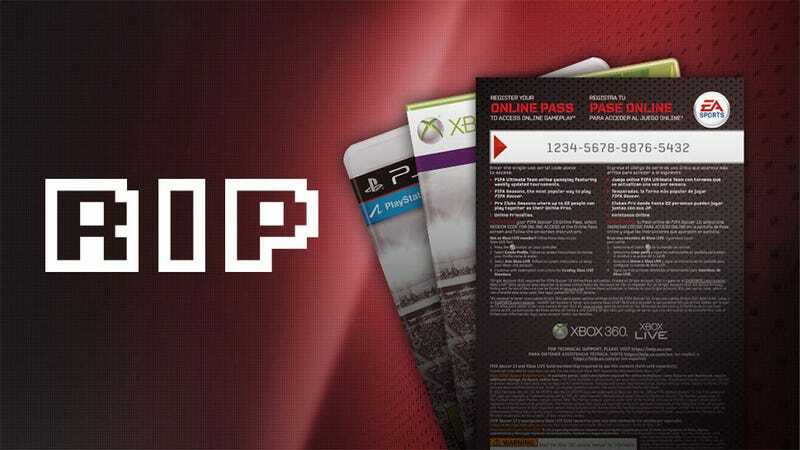 For some games, the prompt to enter an Online Pass code will no longer appear; for others, you will still need to download and install an Online Pass, but they will be available free of charge from the Xbox LIVE Marketplace or PlayStation Store." The first games to see their passes removed will be EA Sports titles, with other games to follow. While EA continues to claim that it "listened to the feedback from players", and removed the passes to "allow more people to play and enjoy EA games for a long time to come", it's important to note that at least one upcoming console features similar technology built into the machine, removing the need for EA to administer its own online pass.